Grave burial is one of the oldest and most traditional types of funerals. 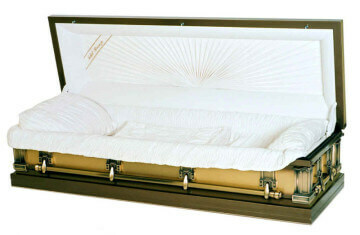 The deceased is placed in a casket and buried in either a single row plot or family gravesite. The family has the opportunity to purchase a permanent stone or memorial as a tribute to your loved one. Casket and Burial Containers displayed below are for illustration purposes only. 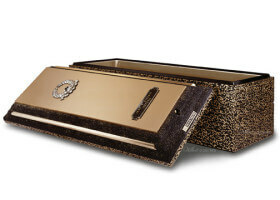 Burial vaults are available and are constructed of Concrete, Fiberglass, Steel, Copper and Bronze which are guaranteed to be water-tight for the families' peace of mind.